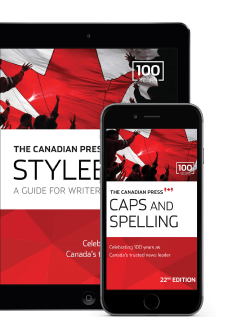 Get your copy of the definitive writing & editing style guide that sets industry standards for journalists across Canada. 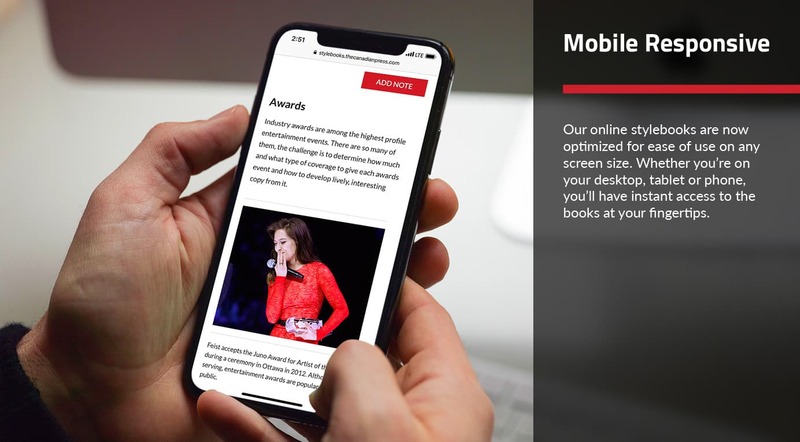 Whether you're in journalism, communications, publishing or public relations, ensure your writing is accurate and consistent by following the standards set by Canada’s trusted news leader. 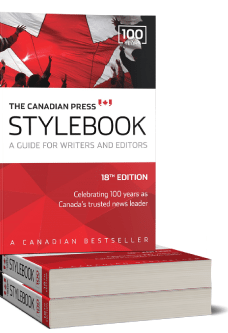 go-to reference book used by journalists at Canada's national news agency, as well as hundreds of newspapers, broadcasters and websites. 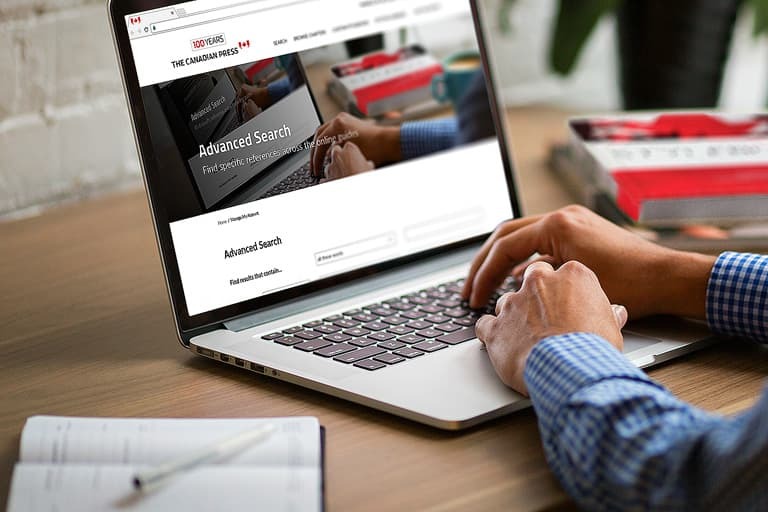 Find what you need quickly by using a keyword search engine to see style entries matching your criteria. 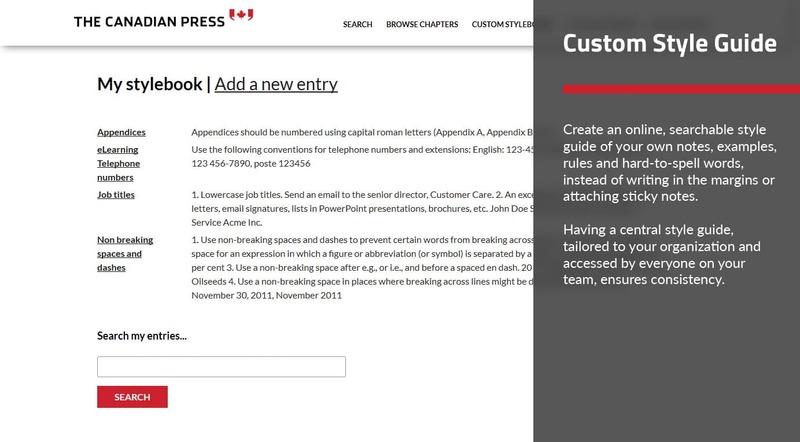 Personalize the online book by adding your own notes and tricky-to-spell words so everything is in one place and easily searchable. 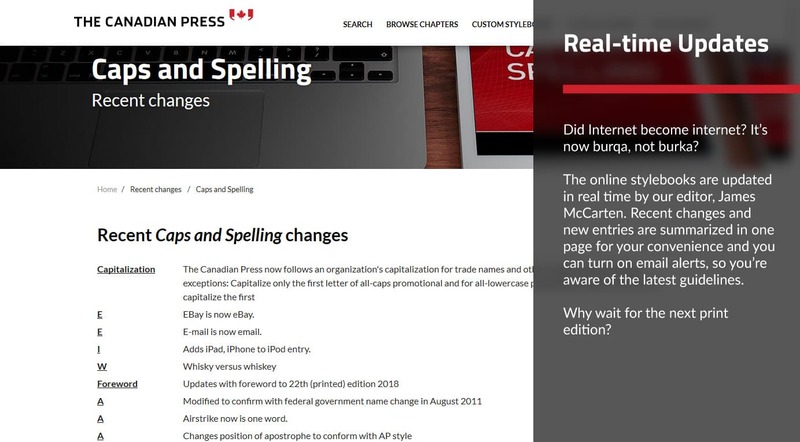 Get real-time email alerts when our editor adds new style entries. 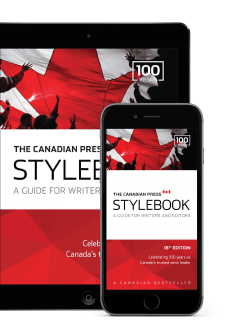 "Don't even think of going into journalism or communications without it....Gives lots of tips to help craft your writing." 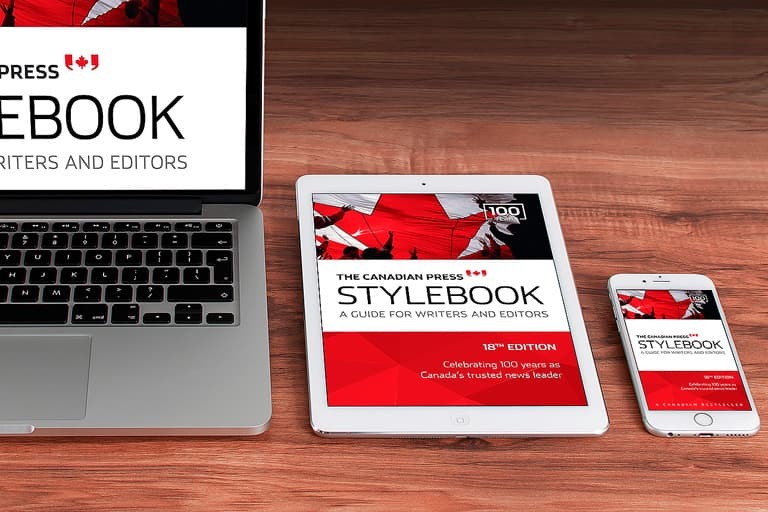 "It's the best Canadian style resource out there." 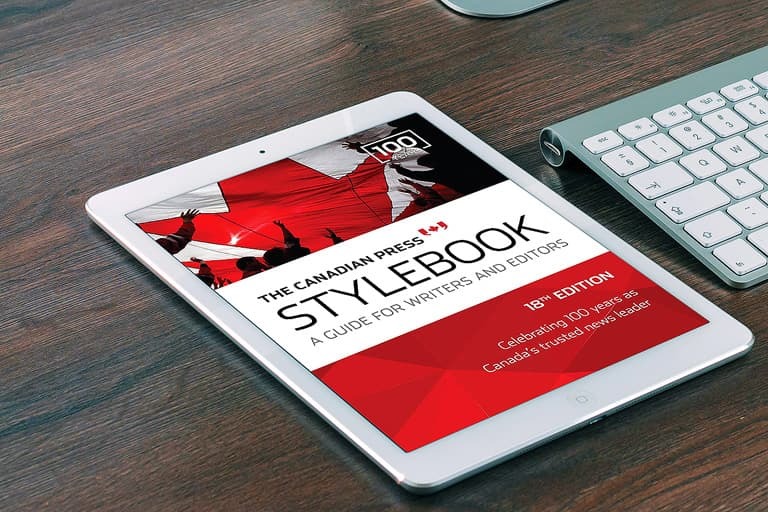 "The most helpful book for journalism students. Profs swear by it, editors look to it and you'll use it after graduation!" 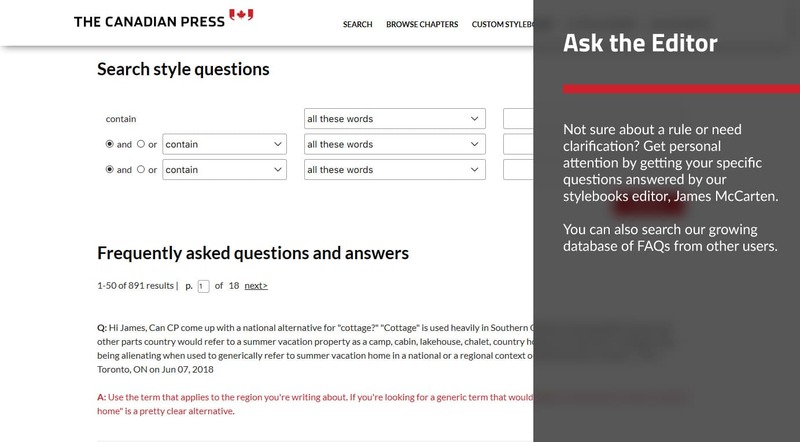 Contact us today for a free demo to see the Online Stylebook in action, or for answers to your questions about any of our style guides, the status of your order, pricing and more. 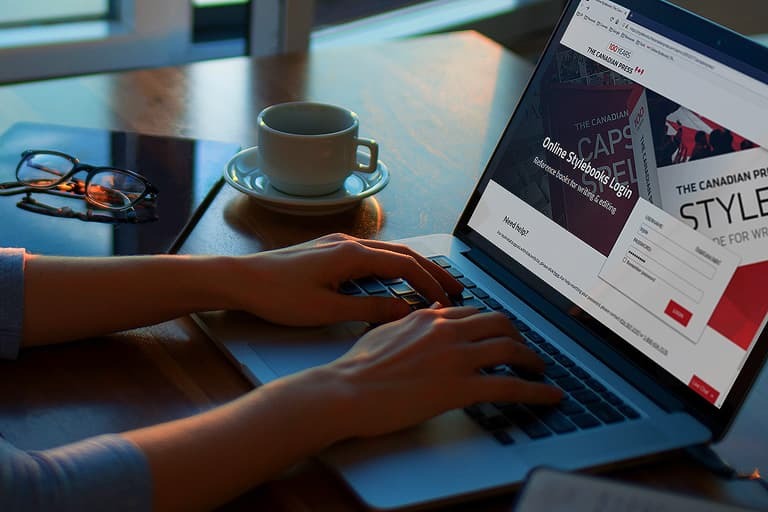 Orders within Canada usually arrive in two to four weeks from date of order. 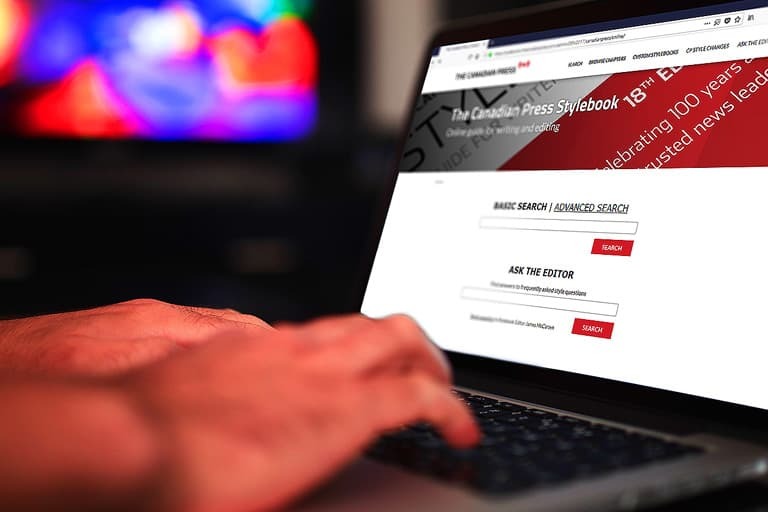 Current print editions may be returned for a full refund up to 30 days from the shipping date if they are undamaged and in the original packaging.